Naomi Gennery is a bristol based designer and maker who has recently started to create jewellery. Inspired by all things colourful, and perspex, Mango Tango Jewellery was born. 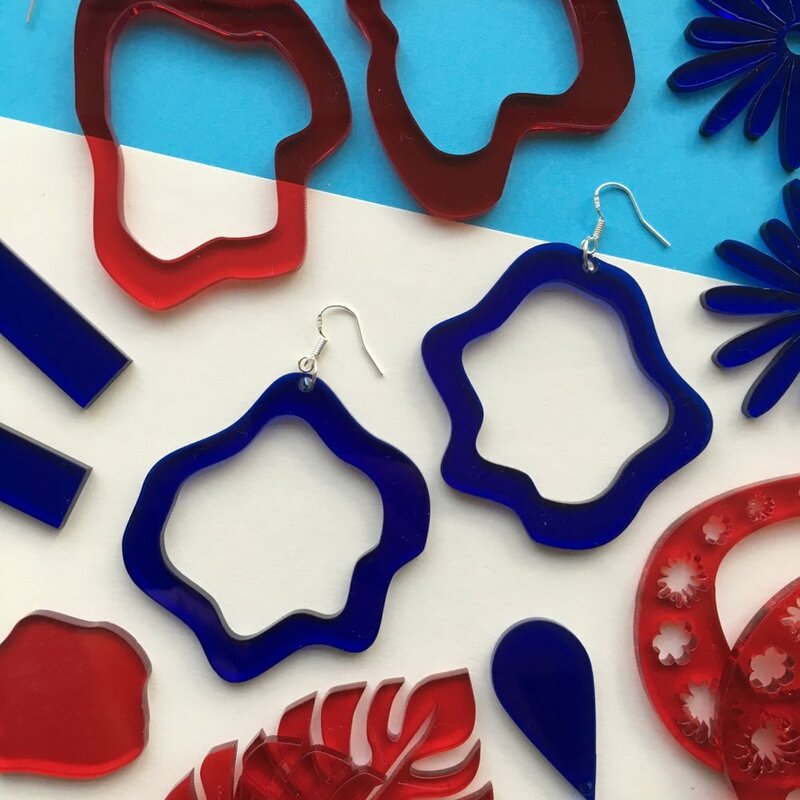 She uses wobbly shapes and bold colours to create fun playful earrings, which will add a pop of colour and a bit of sass to any outfit.